Just in time to still be “first quarter,” our first quarter edition of Inspired Living, Inspiration’s community newsletter, is now available! This one’s a bit of a late release because we wanted to wait for the most accurate update on Club Inspiration, our long-awaited $9M master amenity center opening soon. Check out the newsletter for updates on Club Inspiration, an introduction to your new HOA Assistant Manager/Lifestyle Director Amy Swilley, updates from the developer and a social calendar of events for the next three months! 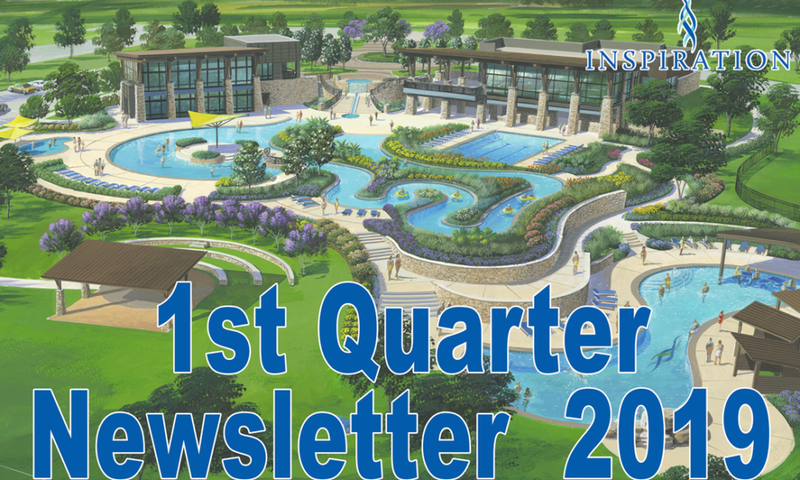 Download your copy of the Q1 newsletter today! Contact Sheryl Porter, HOA Manager with any questions or concerns at sheryl.porter@fsresidential.com or 469-522-2120.